The scenery may be beautiful, but the line is VERY long. On our first visit to ‘the other Orlando park,’ my oldest daughter and I attended a viewing of Universal’s Horror Make-up Show. During the show, the volunteer, a nice woman ended up covered in red-dyed corn syrup. The hosts threw a towel out to the woman and called after, “That’ll be $14.50!” We all laughed, but knew it wasn’t exactly distant from the truth. Certainly, we knew most of the major differences between Disney World and Universal Studios. We weren’t, however, expecting to encounter such a myriad of differences between the two parks. Hopefully, some quick research, a planned touring plans itinerary, and this article can help you get a quick overview of what to expect at your first visit to Universal Orlando Resort. The parks are over a small area. Really small. If you could walk through a few buildings, you could easily get back and forth between the parks. We could see Dr. Doom from our window at Loews Royal Pacific Resort. You can also take Hogwart’s Express between the two parks at any time, too. I’d avoid going during the surge of the middle of the day, but make certain to go both directions, so board at Hogsmeade Station, as well. Each ride is a bit different. The walk wasn’t quick, but it was awfully close. Don’t, however, mistake close for convenient. I could see the park, but our walk to the entrance was about fifteen minutes each day along a winding path that seemed to close back over itself. We ended up walking to and from the parks every day, but getting through Universal can’t always be done quickly. The queue and exit line for every ride can be pretty long, if they are needed or not. The line to get onto Dragon Challenge at Islands of Adventure is filled with beautiful pieces, the Triwizard Cup, banners for each champion, and VERY few people. Most of the occasions we were on the ride, it was essentially a walk-on. The theming was much better than I had expected, but the walk was LONG. The wait may have been longer for Flight of the Hippogriff than it was for Dragon Challenge. The queue for Harry Potter and the Forbidden Journey was long, as well. It was filled with stations throughout Hogwarts, talking paintings, and myriads of setup. Perhaps the rides were purposefully trying to delay our boarding, but on multiple occasions, I wondered why I STILL had to walk through tons of labyrinthian mazes to get on the Seuss High in the Sky Trolley ride. The exit for Ripsaw Falls, I felt like I had mistakenly gotten back in line for another ride. Even the pathway between our hotel and Islands of Adventure I felt like it had carved out a purposefully winding path to throw off our pace. Each day, my pedometer on my iphone killed its battery. I never had an accurate step count, but I was well above 15,000 steps. Everything at Universal is more current. And that makes it quickly more dated. I love Peter Pan. It’s old, silly, and a lot of fun. But it has a simple timelessness. Universal – in its comparatively short history – has already cycled through quite a few of the original rides – either completely re-building, re-themeing, re-planning, or removing. In a few places, the ride has gone through multiple iterations. Kongstruction has been (more than) rumored to be re-born again in the park. But many rides are still chugging along even though their probable life has expired. Men in Black Alien Attack still operates – probably past its expiration date. The parallel ride at Disney World, Buzz Lightyear, while fun, has been lapped by its own competitor, Toy Story Midway Mania. Nevertheless, Buzz should still be one of your top priorities at Disney World in fast passes or early rides. The park finally demolished Mr. Toad’s Wild Ride in 1998 (cue bands of outraged fans – link to Disneyland page) and updated the ride into something they believed could be more timeless, and have instead outraged old fans – and created something probably more juvenile. Universal, however, has been forced to create and destroy rides much more quickly. The park is still in its relative infancy, but by creating something at the front end of technology, when that technology fades, the ride or show seems pretty tired. The Twister…Ride It Out now seems like a poor afterthought, aging quickly through its fifteen years of shows. The cow on the trip wire that clumsily finds its way back to the left not out of the range of view of many front line audience typifies the age of the ride. Back to the Future, Hanna Barbera, Jimmy Neutron, Earthquake, and Jaws have all been replaced by new rides. Seeing current versions of Men in Black, Shrek 4-D, and E.T. Adventure, suggests that further remodeling is more than likely on the horizon. It all gets a round of applause. Seriously. When exiting the ride, we’re cheered into applause by people assisting you in getting off the ride. After Harry Potter and the Escape from Gringott’s I joined in. pretty easily. After Revenge of the Mummy, I felt ecstatic. That was an incredible ride. The twenty of us clapped it out. At the exit, clapping begins from the people working, and erupted into cheers from the riders. On Flight of the Hippogriff, I joined in with the kids. Nobody, but nobody has a tougher job than the guy standing outside of Twister who leads the cheers in that gift shop. Man, I raise my hat to you, dude. That is the toughest sell of any guy in any theme park. My youngest gets chosen to SEE THE ROCK! in Disaster! The acting is better, the dancing is worse, and the material is probably out of your comfort zone. Universal’s Horror make-up show is a wonderful example. Do I think that this person was really a famous make-up artist? Of course not. Did I buy the performance? Absolutely. Even the acting in Beetljuice’s Graveyard Mashup show was very good. Did any of my kids know any of the films that they were based on? Absolutely not. But they had a pretty good time. We all felt like we had to go and watch the Mummy when we returned. Plenty of kudos to the kids on the Beetlejuice stage. They were pouring their heart and soul into a pretty good performance of material that might have been written by someone semi-literate. They put it out there. We even went AGAIN to the performance of Disaster! to enjoy a second time. Was it because my nine-year old was desperate to be chosen to be in the show? Absolutely. Was she disappointed when her younger sister was chosen? Probably. She did a great job of holding it in, though. AND we were enchanted by two very different performances of the same material by two different hosts. Both men were probably encouraged to ad-lib (perhaps more that a little) in each show – embracing themselves, and their real joy for the stage performance was evident. Nearly every time I saw a show, I had a real feeling that the actors had been encouraged to interact with the audience and love the material. Even though the exit lines left more than a little to be desired. Universal seems understaffed. Disney usually has twice as many people working as really needed, but during our visit, Universal seemed to have only about half as many employees as were needed. At the end of the Disaster! tram ride, two poor people ran up and down the train, desperately unlocking gates, and trying to scurry people out of the ride to load a new set of folks who were getting ready to enter the tram. On Ripsaw Falls, after we entered the train, one poor man ran to the train, quickly flipping through directions, and bending in half to point at his toes – displaying how we should maneuver in and out of the car. He then ran to the log behind us, and repeated the process. The restaurants are also understaffed. In line for Three Broomsticks, we had a reservation for 9:30 am. We hopped in line, and our staffer jumped us ahead of a number of people waiting. We looked at the people in line, and one look on their faces told us they also had reservations. We asked the people in the queue if they had reservations. They did. I reached out, and asked the waiting patrons who had a reservation, and took over for the person who had moved back into the last room. We pulled every person who stated their group had a reservation ahead of us. Did all of them have reservations? Probably not. I know that at least some of them did. When the woman returned, she saw what we were doing, and then recollected that she had told many guests to wait – even with reservations – but had moved us ahead. She seemed frustrated, and left. The other employee at the front end thanked me for helping out. “No problem!” I cheerily replied. But this didn’t seem like an isolated event. While our meal at Mythos was brilliant, the restaurant was half empty. We planned our trip only ten days in advance, so the only reservation was at 4:45, but when we exited, many of the tables remained empty. Due to a rainstorm, tons of people ended up in the lobby, but none of them could be seated. Our experiences at many of the fast food restaurants was far worse. 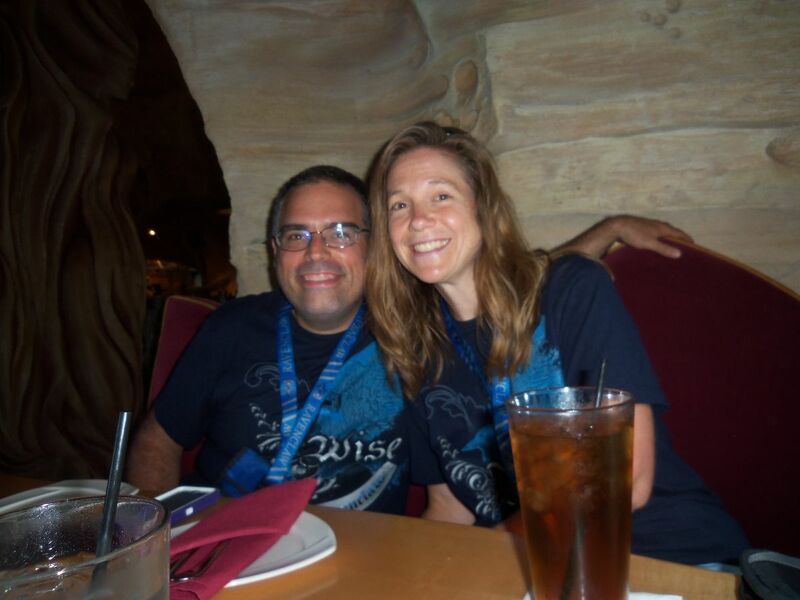 Our first lunch, we ate at Thunder Falls Terrace – a restaurant with a menu much like Flame Tree Barbecue at Animal Kingdom. It did have air conditioning, and a view of the Jurassic Park River Adventure, but after that, the advantages ended. We waited a terrifyingly long time to check out – again understaffed. One person flipped back and forth between the main dishes and sides, and the cashier also was trying to fill drinks and take money while a manager attempted to fix the soda machine, politely informing us after we had paid and ordered, that we might not be able to get the iced tea we ordered. We also ate at Louie’s restaurant in Universal – where we ordered four meals between the five of us, and spent almost as much time and money as we did at Mythos – and had a much poorer experience. Again, staffing issues and speed ground the service to a halt. Thankfully, we also ate at the Springfield Dining Fast Food Boulevard area RIGHT when it opened. Our careful planning and darting from place to place only ground to a halt when I ordered a Duff beer and asked to be photographed with the bottle – that could not leave the counter. A few people moved ahead of us, and the cashiers were swamped. Great ideas – and good food here – make certain to get the chicken sandwich – but plan ahead. Consider carefully before going anywhere. Stuff may close early, or never be open. After getting off the water rides, I walked over to Wimpy’s – not on a Tuesday – and found that ‘seasonally open’ might be interpreted as ‘never.’ The same might apply for Green Eggs and Ham. Blondie’s is open. And at the end of the last day, I went to poke my nose in and see a Dagwood – to discover it was only open for lunch. Be prepared. Much of the park may close – especially in lighter seasons – before the park fully closes. Getting around in the parks is much easier. Instead of a wagon wheel, it’s all on a big circle around a lake. Even after a few visits, I find myself finding new nooks and crannies hidden around each park. At Universal Orlando, both parks are set up around big circles of the lake. You have to traverse through each land to get to the next, and if you keep going, you’ll eventually come across the next simulator. It’s all about the simulators. Well, maybe not all. Certainly many. 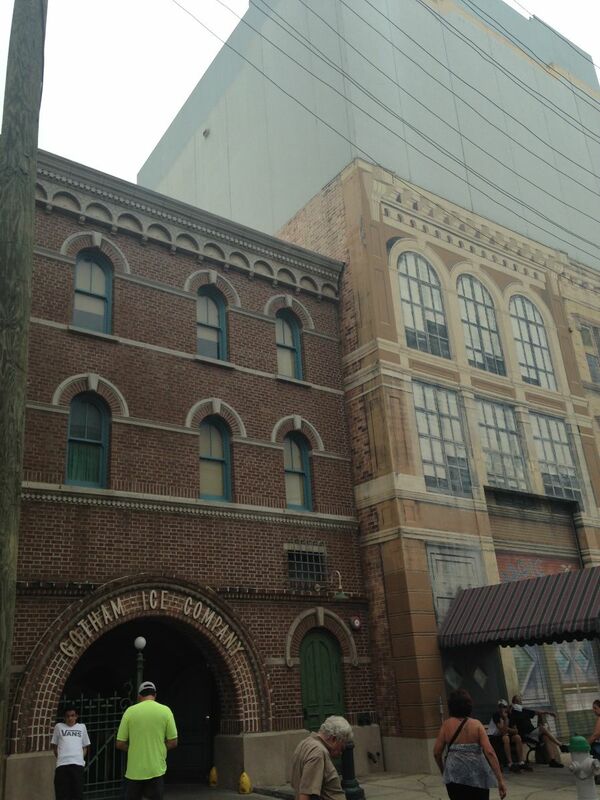 Universal has two fully immersive simulators – one in each park. Spider-Man is the classic ride, but Transformers has built a beautiful ride, as well. Both are terrifyingly similar. Built fifteen years apart, I had hoped that Transformers would be a differing experience. It has different thrills – and I could see why some would pick one over the other, but an oldster like me would probably prefer the classic Spider-Man. It also has the re-built Simpsons ride that is a great single family simulator, and Despicable Me – and immersive theater simulator. Right across the street is the over the hill – er – other theater simulator, Shrek. It has two Harry Potter simulators – one in each park. Escape from Gringott’s is the tamer of the two rides – even though from the exterior it wouldn’t seem like it. It takes the roller coaster ride thrills of the Mummy, and adds a 3D/4D experience – along with the quick turns through the mine. 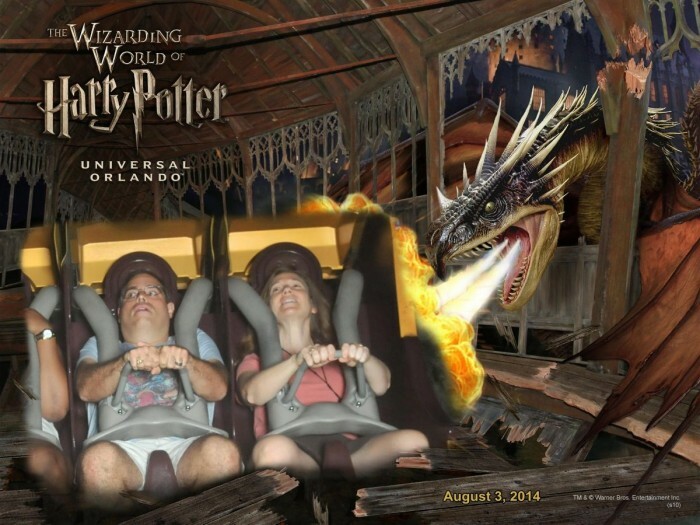 Harry Potter and the Forbidden Journey is an INTENSE simulator ride surrounded by a standard ride, too. My seven-year old was terrified – and her father may have needed to hold back, as well. Even Disaster! ends with a simulation of an earthquake hitting your subway car, too. The Mummy Ride thrills, but you need to lock your stuff behind. Many of the rides require you to use a locker. Whether you want to or not. Revenge of the Mummy, Rip Ride Rockit, Men in Black, Harry Potter, Gringott’s, Incredible Hulk, and Dragon Challenge all require you to use a locker. They are provided free of charge outside the ride, but you may not ride unless you put all of your items within the locker. Hulk makes a lot of sense. Harry Potter does, as well. Gringott’s is probably overly cautious – but I understand. Men in Black? Really? Now, I am certain there is a reason for it. I know I don’t have to pay – but even at the most extreme of the turning, it seems a little more than serious overkill. In reality, the worst thing about the lockers may be the retrieval of your items from your locker. As a group of five, we were well acquainted with the fact that only one person needed to return to the locker. However, many of the people there that day forgot. PLEASE, people. All seven of you do not need to stand in front of the bank of lockers and converse while I am trying to get my stuff out. That brings me to my next point. Fewer families. Fewer older people. WAY more freely moving teens. I am a high school teacher. I love my job. I love being around high school students. They are bright and hard-working. But they are desperate for guidance. Universal Studios has a much higher percentage of people that are ‘off the leash,’ so to speak. The park has far greater numbers of ‘middle aged’ people. Everywhere from about ten or so to around fifty. Far fewer families of young people, and far fewer older people, too. At the end of the Super Bowl, no one ever looks into the camera and yells, “I’m going to Universal Studios Florida!” Even with all the Harry Potter openings, it still plays second banana. You will encounter far fewer screaming babies, far fewer crying children, and almost no grandparents with grandchildren in tow. You will, however, encounter many, many, many more groups of teens. They aren’t bad eggs, but I did hear many more discussions that I wished I had turned my ear from a moment or two sooner. The park targets an older audience, and as a result, the thrills are greater. You get the Universal Express pass, but need to keep it DRY! Ravenclaw lanyards available for $8.99 in August. The rides are much more intense. Expedition Everest and Space Mountain are outstanding thrill rides. Rock ’n’ Roller Coaster and Test Track offer high speeds. But no ride at Disney World can compare to the intensity of any of the high thrill rides at Universal Studios. At each park, it’s easy to compare and lay adjacent many of the rides. Universal doesn’t always have an iconic ride, but each one turns up the level. The Many Adventures of Winnie the Pooh is cute and bounces. The Cat in the Hat twists and turns. Take the warning seriously. The Magic Carpets of Aladdin squirts. One Fish, Two Fish, Red Fish, Blue Fish drenches. Aerosmith thrills. Revenge of the Mummy terrifies. Well, okay. That may be closer in thrills. But in different ways. If Disney goes to ten on intensity, Universal most certainly goes to eleven. Most things that Disney has, Universal probably has, as well. Meal at Mythos. Good food. Great service. Best value in Orlando theme parks. two ride pictures. However, Disney World photographers appear at nearly every turn. Universal photographers are far more scant. Outside of the ride photos, we found only two during our trip. It’s also good for only three days, instead of the trip duration. In addition, remember those required lockers? What’s the ONLY place you’d WANT to get a locker? Right. The water rides. Guess what? The lockers are available there. For a small hourly fee. You don’t really need a reservation for a restaurant. Except Mythos. Frankly, you should get a reservation for Mythos. It’s a little old, and in a section of the park that screams for some updates. But the service is quite excellent, the food is very good. The value beats the pants off of nearly everything that any theme park anywhere can offer. Some places have better service. Some have cheaper prices. Others have nicer ambiance. Mythos offers all of them. Spectacular restroom here. But complete the theme all the way to the top! the buildings are dressed with flyers, announcements, and lights screaming advertisements from phony restaurants, pawnbrokers, and bookstores. The dressing incorporates shops, rides, and even restrooms. One of my favorite locations inside the area was the restroom on the back side of the park adjacent to the Revenge of the Mummy ride. It reminded me more of the Godfather film than the Louie’s restaurant. The labels were posted with tiles, and I had the feeling while looking from the outside that the film had been built here. Then I looked to the right. The theming just seemed to end at a line in the building. What could have been easy to cover with a few more buildings, or cover with some brick had just ended there. Certainly Universal looks more spectacular. But I wanted them to go JUST a bit further. Inside Diagon Alley is spectacular, however. The design of that section of the park immersed me there. I couldn’t see out – and I felt like while there, it was perfect. But outside of the area, I could see the Dragon peeking out in a few spots over the buildings. When winding around the back side of the park near Fear Factor and Men in Black, while queueing to enter Diagon Alley, I could see the ‘back’ side of a few pieces of the dress for a few of the buildings there. Please, Universal. you’ve set my bar SO high – just keep it going a BIT more. You should absolutely go to check it out. Soon. The place is a spectacular vacation. Even for the young, and young at heart. A few of the rides may turn your stomach. Certainly the pricing is different. The crowds are different. The experience is different Many of the things that Disney has mastered, Universal is playing catch-up. But Universal has learned to compliment the Disney vacation instead of replace or supersede it. Universal may never replace Disney World at the end of a Super Bowl victory, but it certainly can be a place to add to your trip. 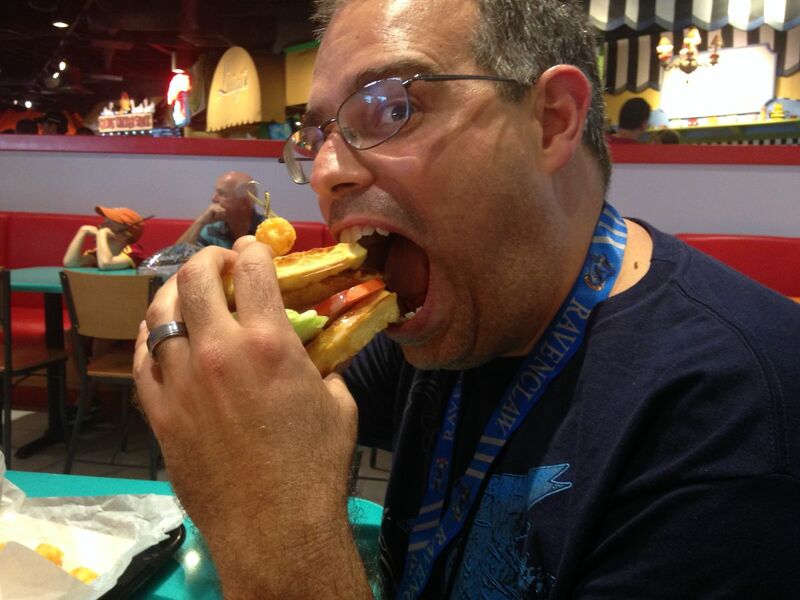 Kevin has taught high school since 1998, and loved Disney World since a 2009 visit with his wife and three daughters. He loves the planning stages of the vacation, and tends to focus on details (while his wife manages the big picture). He also collects comic books, and sometimes maintains a blog reading them. You can follow my twitter @kevin_m_bastos. Don’t cut Disney World entirely. The magic feeling hasn’t been completely replaced – but Diagon Alley came AWFULLY close. Loved this! Lots of good info! Very thorough article. I’ve never been to Universal, but I feel like I understand it much better now. Thanks! Glad to hear it. I bought a few books – but they all seem hyper-detail focused or too superficial. This seemed to sift areas that I wasn’t expecting. This has pretty much been our experience with Universal. We enjoy the parks, but never stay as long as we do at Disney and it doesn’t pull us back again like Disney does. We visit Walt Disney World most every year, sometimes multiple times. We do Universal once every few years. I would have thought that while we were there, but now I find myself pricing a Universal trip to pair up with our Disney one next summer. Hmmm….. I could have used this a week ago when I was there! I agree with your sentiments – there are SO MANY simulators. It made me more than queasy. Who would have thought Escape from Gringotts would be less intense than Forbidden Journey? I spent a lot of time in the Harry Potter areas and loved all of it. The rest of the parks were okay. Don’t sell the rest of the parks so short! Many hidden gems run through the parks. I liked to pay attention to the areas that were focused on human interactions. The Universal workers are great! Where some of Disney’s gems are the environment. While nearly EVERYTHING in Diagon Alley hits the fences, Universal’s rides in many cases are dated – but the experiences are sometimes incredible. 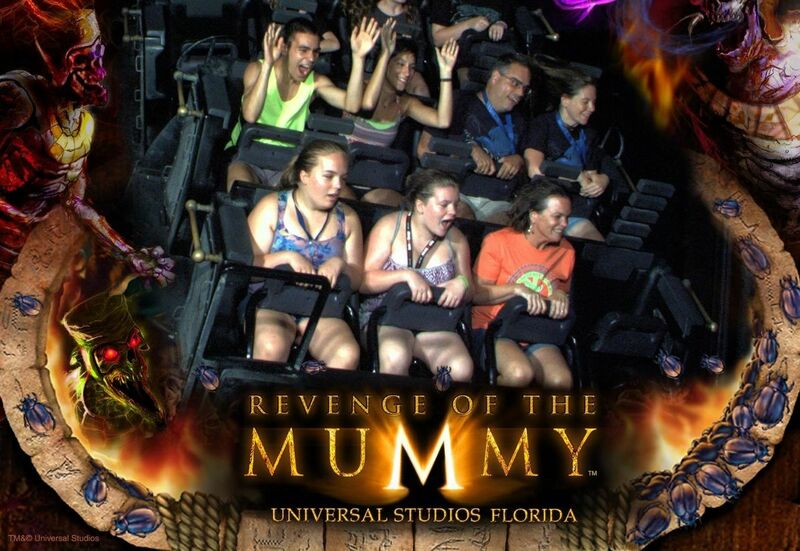 Then again, Mummy may be my favorite ride in Orlando. I agree with many of your observations about Universal after our first trip there last month. But I don’t think your “intensity” section truly captured how much wilder Rip Ride Rockit and the Hulk are compared to anything at WDW. And the locker thing sure does get annoying! I couldn’t speak with much more than brevity on this. 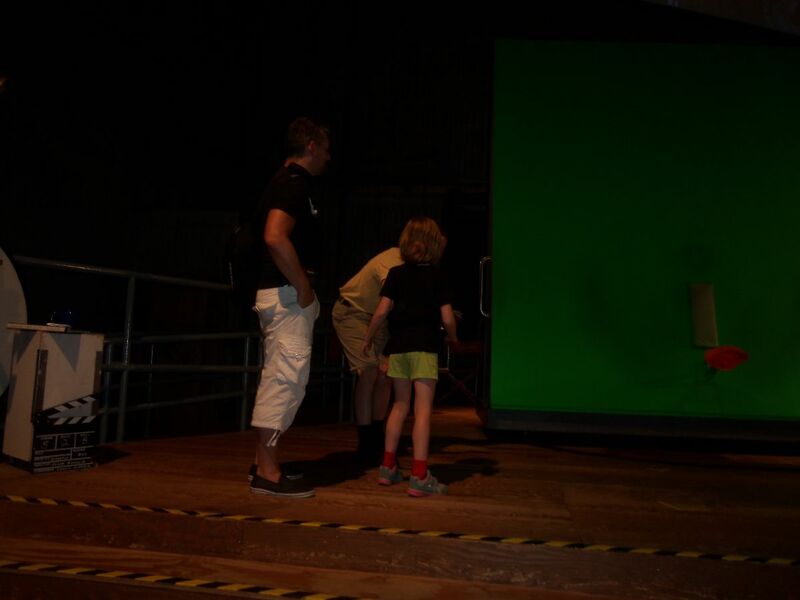 Our first day, my oldest daughters rode the Hulk – on a day I felt a bit queasy. On our next days, they were THROUGH with the Hulk – and NO ONE wanted to brave the Rockit. I can’t say I wept about that, but it seems that my age has started to catch up with me. I completely agree about the winding path from Royal Pacific! It’s winding for no reason and takes guest a full 5-7 minutes longer than had they stuck closer to the stream or added a simple foot bridge. It was immensely frustrating! It IS pretty. But some of the time felt just like a BIT too much. It’s a matter of taste. This summer, the last time my family of older teens and middle 40s aged adults were in Orlando, we split our time between WDW and Universal. We started at Disney and didn’t get on too many rides despite staying on site (I’m NOT a fan of FP+), but we did enjoy Illuminations. When we moved to Universal, we had a day of Disney admission left. 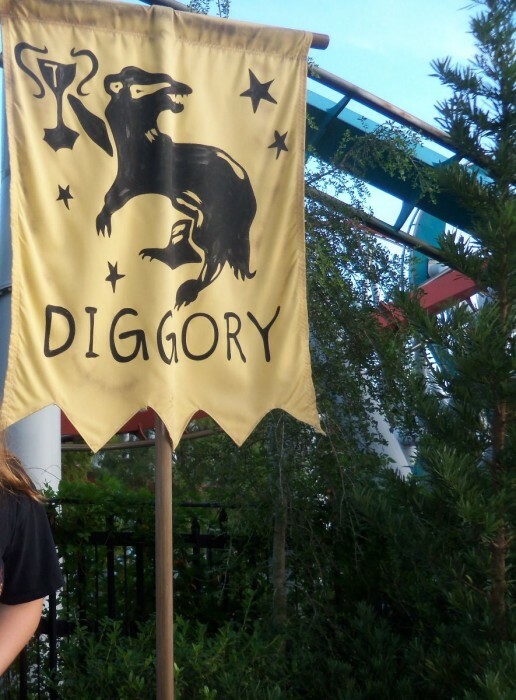 We never came back and didn’t miss it, we were too busy enjoying more leisurely touring (even mid-summer with Diagon Alley just opened!) afforded by the Express Pass that comes with staying at a moderate on-site hotel. Good thing Disney doesn’t have dated attractions (cough, Ellen’s Energy Adventure, Country Bears and Carousel of Progress, etc.). Kevin, were the Royal Pacific boats not running during your stay? We’ve always found them convenient. If the weather acts up and they stop running, you can grab a bus or a pedicab. I absolutely agree. If I asked my kids today, they would probably tell me that they would want to go back to Universal Studios before Disney. Three girls are going as three different robes of their respective Hogwarts houses. 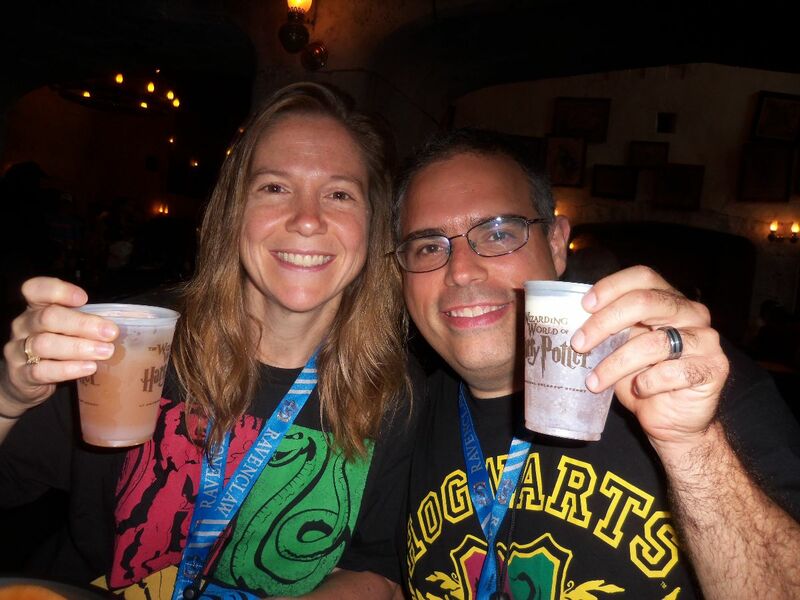 I won’t entirely agree with you – but our days at Universal were certainly more leisurely. 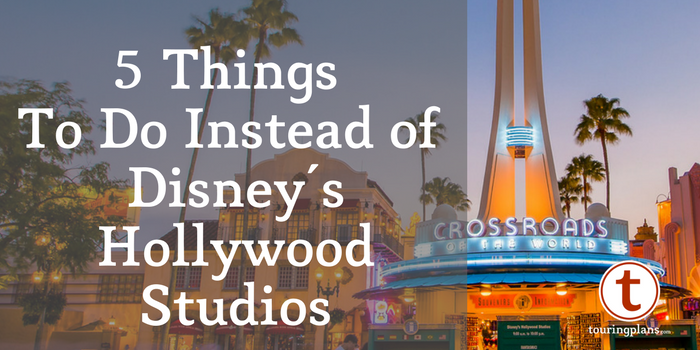 As for dated attractions at Disney – I COMPLETELY agree. I even wrote an article comparing a few of the aging attractions at each park last week. I know that not everything is immune. However, a few of the Disney attractions – even with age, and at times, cobwebs, are still able to maintain the classic air about them. Peter Pan, in particular, still amazes me. It works well within its era and today. Until the Springfield area opened at Universal, I didn’t feel like anything had that timeless feel to it. And we LOVE the Mummy ride. Now that the entire Hogsmeade and Diagon Alley have opened, those bets are off. As for the boats? Yes, they were running. However, we are CRAZY HYPER planners, and suffer from fear of late-ness. And by we, I mean me. I was fearful about NOT beating the guests taking the boats, so we walked over our first day to arrive at 6:00 at Islands for a 7am (6:45) open. Boats didn’t start until later. In addition, we are a bit of walking addicts. Even on a day of work, I still made it to 15,000 steps today. The pedicabs were a cool idea, but not with a stroller. And also, I am cheap. I feel the need to tip, but never a need to use a service that uses tipping. We carry our bags, walk, etc. But as two former service industry people, we tip when we use the services.